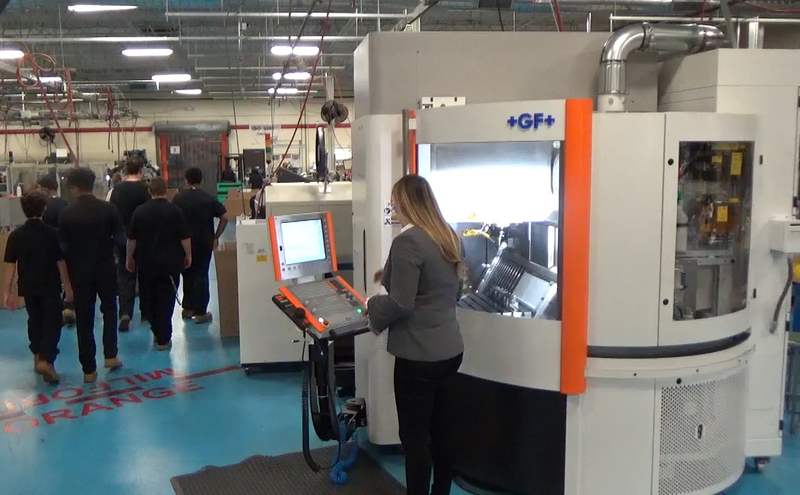 We spent Manufacturing Day in our factory with students from Emmett O’Brien Technical High School. It was a joy to see a genuine engagement and interest from every student, and it reaffirmed our belief that by opening our doors we can improve the perception of manufacturing in CT.
Steve Orloski, Instructor and Program Department Head at Emmett O’Brien, accompanied the students this past Friday and even drove the bus. He told us he has 80+ students enrolled in the Precision Machining Technology Program this year. Students who came to Bead were juniors, many of whom say they have started to think seriously about careers in manufacturing as they near graduation. 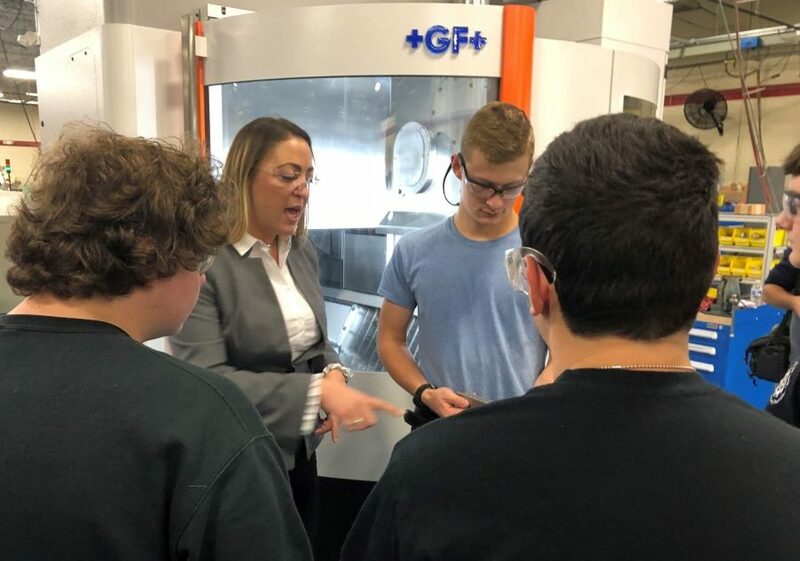 Our annual Manufacturing Day celebration would not be complete without a visit from Pam Staneski, State Rep for Milford/Orange. Rep Staneski has joined us each year for three years now, and is a welcome guest and supporter of our manufacturing student tours. Pam is running for State Senate in November and is endorsed by the Connecticut Business and Industry Association (CBIA). She is a strong advocate for Bead as well as other small, family-owned businesses throughout the state. 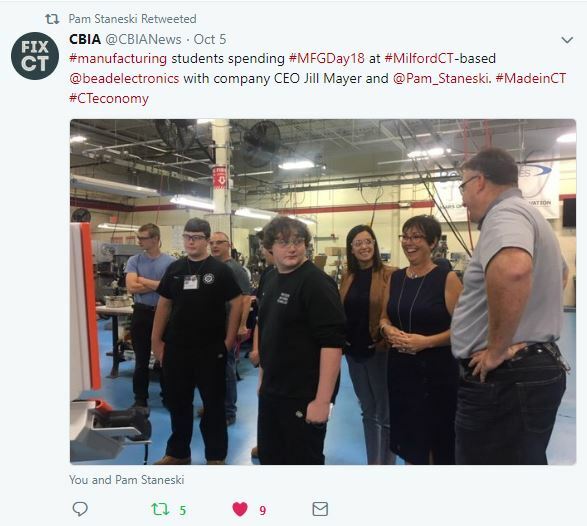 Previous Manufacturing Day celebrations at Bead have included students from students from Stratford High School, Housatonic Community College and others. © 2019 Bead Industries, All Rights Reserved.